It’s that wonderful time when Formula 1 races take place on consecutive weekends – everyone has packed up from Bahrain and quickly relocated to the Shanghai International Circuit, near the city of the same name, for round three of the 2018 season. Once again we have a venue with different characteristics to the two previous rounds, so the teams and drivers will need to be aware of how this affects the setup of their cars. Lewis Hamilton is the most successful driver here, having won five times, including last season, so he will be hoping Shanghai will be where he gets his season truly underway, following the disappointment of a tactical error in Australia and a gearbox change in Bahrain. Will the track suit his Mercedes car? 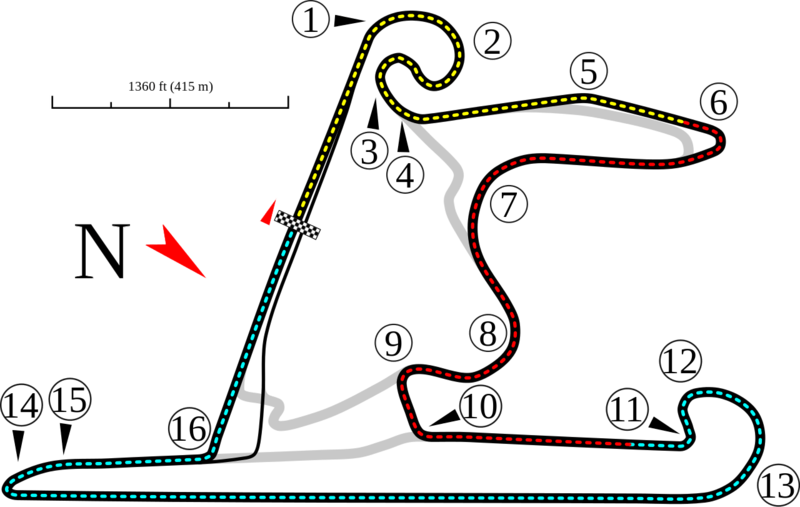 Well, the very long, powerful straight off the back of turn 13 will certainly suit Mercedes power, as will the pit straight, but the circuit also has some bendy characteristics that will favour higher downforce, rather than raw speed. It also has several tricky corners that are deceptive. Turn 1 blends into turn 2 and the instinct might be to carry less speed into turn 1 than you actually can – but as turn 2 ends and turn 3 begins everything slows down and tightens up. There’s a tight hairpin at turn 6 (we might see the brave decide to have a go here) and a sweeping complex of turns 7 and 8. Turns 9 and 10 are surprisingly fast, especially with the wider, faster cars we have now, whilst turn 11 is a sharp left-hander that yields to a combined 12/13 that accelerates you down that loooooong straight. Turn 14 is a huge hairpin, one that will impart tremendous g-forces upon the drivers as they rapidly slow down to tackle it, whilst turn 16 is trickier than it first looks. All in all, it’s difficult to say which team will benefit the most here. Practice hasn’t yielded definitive results, but a lot depends on whether teams are continuing to hide their performance. Hamilton will be keen to get back to winning ways, whilst Vettel and Ferrari might be quietly confident of another solid race. Red Bull drivers Daniel Ricciardo and Max Verstappen would simply be grateful for an incident-free race, after their twin disasters last time. 56 laps and over 300km await everyone on race day – will Vettel complete a hattrick?